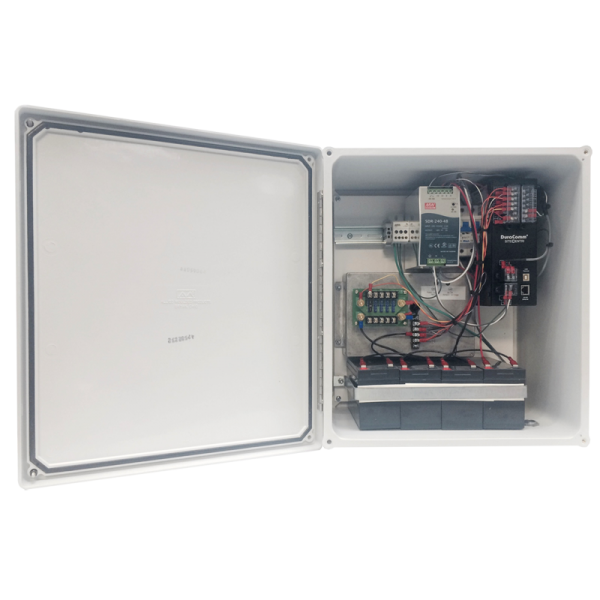 The Environmentally Hardened EH-48-5N-MU is a weatherproof power supply with Low Voltage Disconnect and Batter Back-up, housed in a fiberglass NEMA 4X enclosure, which is dust-proof and moisture-resident. 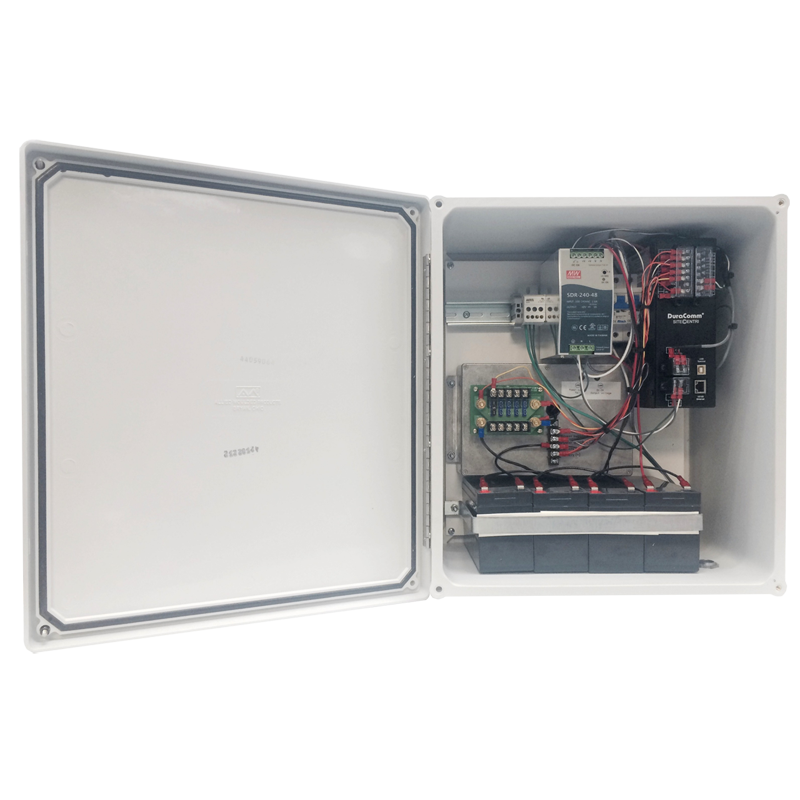 A Site©entri Remote Monitoring and Control Unit is included which allows monitoring of PS current, PS Voltage, Battery Voltage, Output Voltage and Load 1 voltage, as well as temperature and AC Line voltage. By using a standard internet browser you can monitor all of the inputs, and configure the EH-48-5N-MU to send emails when the Analog Voltages, DC-OK or other alarms, or temperature are out of limits. It can log readings to an internal micro-SD card as well, which are time-stamped with a real-time clock. SNMP traps can also be configured. See the DC-RMCU Site©entri Owners guide for full details and specifications.